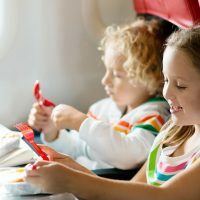 Did you know it’s not mandatory for airlines to seat families together? Organizations such as the Family Travel Association have been rallying the government to change that. 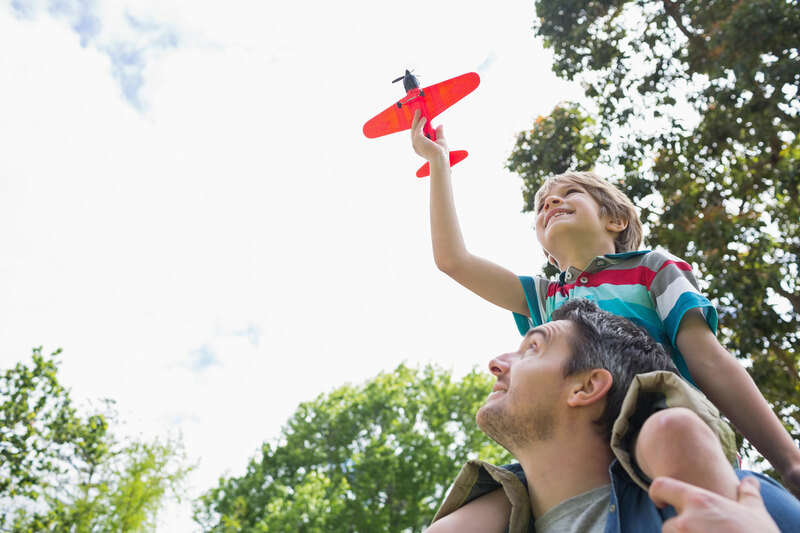 Until the FAA drafts new regulations, there are a few tricks to make sure the family is seated together. 1. Pay extra for seat assignments. So many airlines, especially budget airlines, have moved to an a la carte menu of options, charging extra fees for carryon bags, beverages, and more. One fee worth paying for? The seat reservation. What this means is that instead of letting the computer automatically assign you a seat, you pay extra (anywhere from $7 to $30) per seat to ensure your family can sit together. The cheapest time to pay for your seat assignment is during your initial purchase process; if you wait until check-in or when you arrive at the airport, you are going to pay a premium. Even non-budget national carriers like American and United have made it more challenging to get seats together. There are some flights that don’t require you to pay extra for a seat assignment, but the only “free” seats may be middle seats. Therefore, to get a group of seats together, you may need to pay extra regardless of airline. If you are willing to sit in the back, at least you may only need to pay extra for some of the seats (aisle and/or window). 2. Fly Southwest and purchase EarlyBird Check-In. Some people don’t understand Southwest’s open seating policy and think it’s a disaster for families. But it’s actually one of our favorite ways to fly! On Southwest, you are assigned a boarding group and number based on when you check in. You then line up by group and number, starting with A 1-30, A 31-60, B 1-30, and so on. Once you are on board, you can take any open seat. This means that if you want seats together, you need to board in the A group, or possibly the B group. If you check in exactly 24 hours in advance, you will likely still be in B group, since A-List status members and those who purchase EarlyBird Check-In will take up the A group slots. Family boarding takes place between the A and B group boarding for families with children under the age of 6 and under and their parent/guardian. For families with children over 6, the best way to ensure seats together is to purchase EarlyBird Check-In. For $15 per flight, per seat, you will be automatically checked in to your flight in the A boarding group. While this is an extra expense, we have found that the peace of mind with guaranteed seats together in the front half of the plane, and room for carryon bags, is worth the investment. Plus, Southwest doesn’t charge for checked bags or beverages so you save some money there. Just note that technically saving seats isn’t allowed if you are thinking of only paying for EarlyBird Check-In for one family member. 3. Book online directly with the airline. There are many advantages to booking directly through the airline versus an online travel agent or third-party booking site, especially when it comes to cancellation and changes. However, it will also give you the most control over seat selection and an avenue for recourse should your seats get shifted. Unless you are booking very far in advance, you should be able to select seats as part of the ticket purchase process. Remember, some airlines may charge an additional fee for seat selection. 4. Book together or link your reservations. If you are booking tickets separately, or booking some seats with points and others with cash, you will have separate booking numbers. Therefore, even if you select seats together, the airline may still shift seats around due to an equipment change or other issues. If this happens, they will not know that you are traveling together because it was booked under two or more reservations. Therefore, if your tickets are booked separately, be sure to call the airline and request that they link the reservations or PNRs (passenger name records). This will at least let the airline know you are traveling together and give you some protection. Nothing is guaranteed, but it’s a start. 5. Double check seat assignments before check in. Seat reservations will sometimes be shuffled by the airline. You do not want to learn this at the airport, because at that point the desk agent or gate agent will often tell you there is nothing they can do. Then you are left begging and pleading with grumpy passengers to switch seats with you or trying to enlist the help of a flight attendant who is focused on getting the plane loaded quickly. If you get any emails about a shift in schedule, be sure to double-check your seat assignments at that time to make sure there hasn’t been an equipment change and therefore changes to your seat selections. Even if you don’t hear from the airline, it’s good practice to review your seat assignments at least a few days before your flight. 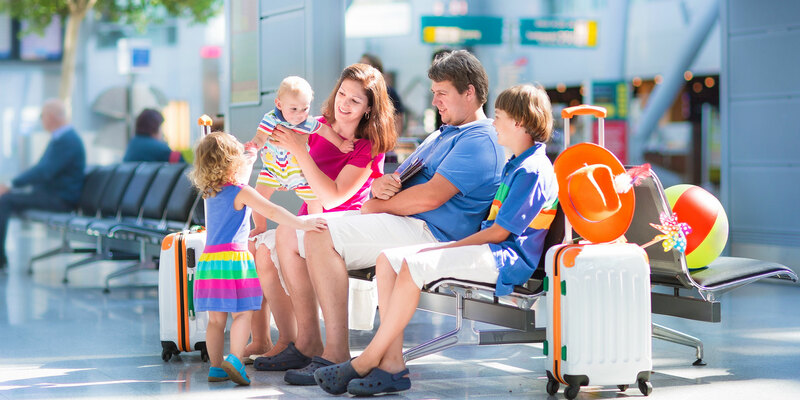 At a minimum, check in online at home 24 hours before departure and double-check your seat assignments at that time. At least then if there is an issue, you have time to call customer service and see if they can shift things around to get you back together. Doing this at the check-in counter or gate is nearly impossible.